Providing you the best range of frame cornice jointer ui-4star and traditional door and window frame maker machine with effective & timely delivery. We provide Frame Cornice Jointer UI-4STAR to our clients. 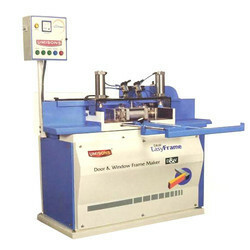 We provide Traditional Door and Window Frame Maker Machine to our clients. For the panel board industry. Wood panels require special bonding to prepare valuable slid wood boards. 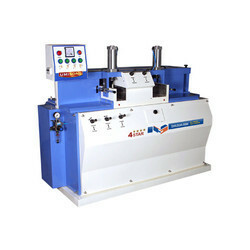 This machine with heavy duty hydraulic controls is useful to door-Windows or panel board manufacturers and furniture makers. Double side working, multi-application one side assemble doors and second side process panel assembly. Thus handling multi-tasking for units that aim to manufacture various types of jobs. Wood panels require special bonding to prepare valuable slid wood boards. This machine with heavy duty hydraulic controls is useful to door-Windows or panelboard manufacturers and furniture makers.